Your kids will love it and so will you, watching them have so much fun at this brand new Disney-like Resort, called SPLASH. This resort includes four very different style swimming pools, each designed for a different age group, and all Gulf front. 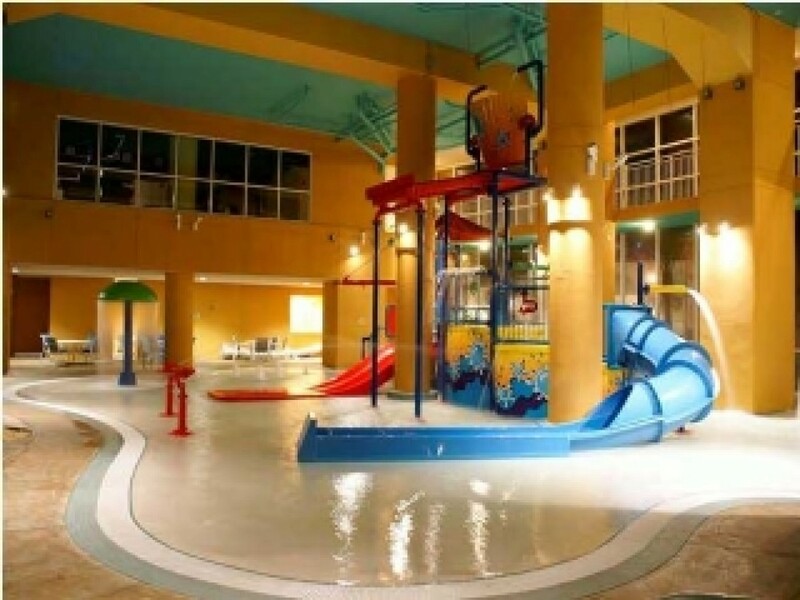 You will find a swimming area for the young or the young at heart, with interactive water park features, including water cannons, twisting slide, water umbrella, tipping bucket and more. This area also has a larger pool and hot tub. All of this is overlooking 400 feet of white sugar sand beaches and the emerald waters of the Gulf of Mexico. Grab one of the provided inner tubes and float down the beautifully landscaped Lazy River pool. There is also an adult pool with cabana bar, tables and chairs. Little Tike Water Play area is a fence enclosed, outdoor carpeted play pool area with fountains and interactive toys for the younger children. Barbeque pits in this area allow you to barbeque, while keeping an eye on the kids. Lay beside the pool or in it if you like, and watch the nightly outdoor movie (seasonal) presented for your enjoyment...Strictly PG. An arcade provides hours of entertainment, with video games, iron claw machine, 2 mini bowling alleys and more. Of course, it all overlooks the beach, Gulf and water park pool. The exercise room provides a variety of state of the art equipment for a good workout. Naturally, it overlooks the Gulf. This one bedroom, two bath condo is beautifully decorated and has all the conveniences to make your stay truly comfortable. Your master includes a king bed with private in suite bath. The hall alcove offers twin bunks and access to the 2nd full bath. The full size sofa sleeper in the living area allows this condo to sleep 6 comfortably. The fully equipped kitchen has every modern convenience and is equipped with a washer and dryer. A large balcony directly over the beach invites you to enjoy the beautiful view and warm Gulf breeze.